In the corporate world intuition and curiosity does little good if it does not eventually make a difference to the bottom line. Markets are changing by the second and creating a decision making process based on market data and facts provides the foundation for analyzing and exploiting every opportunity. An organization has to be geared up to respond to these market changes and organizations that develop this expertise will make significant economic contributions. 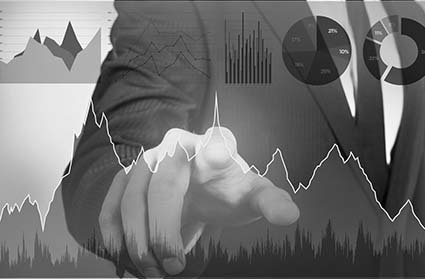 Market Equations provides Statistical Data Analytics Outsourcing solutions to companies worldwide aimed at providing and promoting a fact based decision making culture in all organizations. Simply put we promote Actionable Intelligence. Our Marketing Analytics practice aligns business goals with lasting profits helping organizations take preemptive action to maximize returns from their marketing spend. Read More! Our Risk Analytics services helps organizations leverage data analytics to develop behavioral and application scorecards, segmentation and risk profiling, fraud and loss detection and forecasting and recovery and collection strategies. Read More! Our Supply Chin Analytics services helps organizations build smart strategies across their supply chain network to include Demand Forecasting& Inventory Analytics, Customer service Optimization strategies, Sourcing Analytics and Network Optimization Analytics. Read More! You can trust our Statisticians to make your data do the talking. Statistical Data Analytics is an inevitable part of the decision making process today. Organizations have realized and experience the power of data driving decisions and how the application of extensive analytics has changed the face of most organizations worldwide. With decades of experience serving clients globally in diverse industries our knowledge teams walk the talk. Market Equations is driven by a team of highly intellectual Researchers, Business Analysts and Statisticians combining the best minds in the industry with decades of strong business experience and domain expertise. The Market Equations knowledge team comprises of PhD's, Statisticians, Business and Financial Analysts, Management and Science Graduates and Technology professionals to provide organizations a comprehensive and tested solution that work all the time. Contact Us for your Statistical Data Analytics needs and maintain your competitive advantage.